Before you were a driver you may remember looking out the side of the car window and seeing trucks pull into a curious looking port to the side of the road. As the trucks rolled in, one after another, you may have wondered why they had to head over to a special area and what the purpose of the area was. As one advances in their trucking job, these “ports” to the side of the road have likely become an incredibly familiar site, perhaps even one that puts a damper on your route when you must enter them. Indeed, those in the cab know all about the various weigh station locations across the country and the procedure that goes along with them. The rookie trucker may still be confused by these stations, or they may have not yet encountered one due to only taking on local routes in their driving career or because the state they are operating within. While not every driver will have the same experience when dealing with a weigh station, it’s still crucial to know the basics of weigh stations and how to properly deal with them should an encounter occur. Some drivers may point out that the purpose and definition of a weigh station is in the name. However, these stations aren’t simply a location to weigh a truck and send a trucker on their way. Instead, they are designed to ensure safety in operation, compliance in truck weight and some taxes are collected upon the vehicles. - Why Weigh A Truck? The primary reason for weighing a truck is not to ensnare a driver in a legal trap or to punish them, but to establish safety on the road. The federal weight limit for trucks is set at 80,000 pounds, gross vehicle weight. Some roadways and bridges in the country may not be able to handle trucks of a certain weight, therefore it is crucial to establish a pulse on the weight of a truck and ensure that no one will be harmed due to the nature of the freight. Some states, however, have their own limits on how much a truck can weigh. Colorado, for example, allows a gross vehicle weight of up to 85,000 pounds on non-interstate highways. 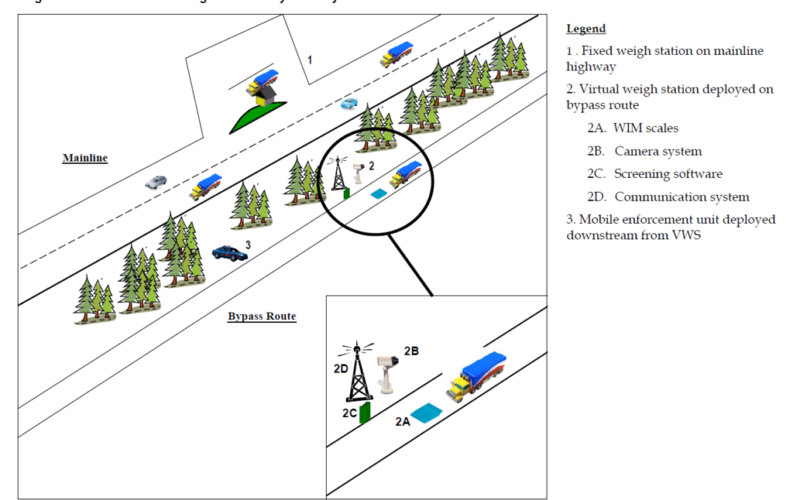 Weigh stations have several other purposes other than recording weight and determining whether or not a vehicle should operate in a particular area. Drivers can get valuable information at these weight stations as well, and many agree that highways in our nation are safer due to their existence. What Can Happen At A Weigh Station? Some drivers may be surprised to find the thoroughness in which inspections at weigh station occur. Other than calculating the weight of a vehicle’s freight in addition to a gross weight of a truck overall, there is a great deal that transpires when a driver passes through the hallowed “OPEN” signs on a weigh station, and it’s just waiting to be monitored. 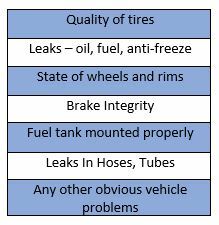 If a truck is found in violation of any of the points of inspection, it may be subject to be declared out-of-service until repairs are made. Many drivers agree that California is among of the most rigorous states for testing, with frequent tests conducted by the California Highway Patrol (CHP). Additionally, some states impose extra restrictions upon certain types of drivers in order to ensure they stop at a station. The state of Florida is an excellent example of this auxiliary protocol, as any driver transporting Hazmat materials or those trailers hauling livestock must stop at a weigh station. In the soon-to-be mandated world of truck driving, the term “log” in reference to nearly anything has become a dirty word. Some drivers continue to harbor a negative opinion towards any entity keeping tabs on them, especially weigh stations across the country. To this end, the other primary function of a weigh station can be to ensure that taxes are properly collected for commercial motor vehicles. Truckers that weigh more than 26,000 pounds or those that have three or more axels are subject to such a fuel tax. While truckers can now file a quarterly tax report, weigh stations can still check and ensure that drivers are diligent in their filing of such reports, and that their logs and payment and properly submitted in accordance with one’s particular trucker job. In the past, a weigh station may have collected fuel tax from a trucker on the spot, similar to a trucking specific-toll road. Though we have more sophisticated technology and methods in which to collect trucking-specific taxes, this function of weigh stations still may resonate negatively with some. Why Do Some Drivers Dislike Weigh Stations? Although weigh stations are simply an undeniable factor in the commercial driving experience, this does not exclude them from receiving some level of scrutiny from some of those on the road. Whether it’s a bad experience one had within their truck driving job or just a general disdain for the powers governing the road, not all drivers are happy campers when it comes to a weigh station visit. Some truckers jokingly refer to stations as “chicken coops” – an insult with a double-edged meaning. The first part of the joke refers to how the station actually appears – looking like a large sort of “cage” for commercial trucks, much like a chicken coop would contain birds. The second part of the joke has to do with the function of the coop, which is ultimately keeping something contained. Many drivers have a bad taste in their mouth for a weigh station because they feel as though they are being detained or punished in some capacity - especially when hauling speciality freight. Seen by some as another form of regulation, there is not nearly as much backlash toward weigh stations as speed limiters or the ELD mandate. Perhaps more than anything, drivers feel some level of opposition towards because weigh stations have the potential to eat up a substantial amount of time on the road. When a driver is pressed for time, or simply when they are at the end of a long haul, sometimes a weigh station is the last place they want to spend their time. As is the case with several aspects of trucking, there is a distinct divide that exists under the surface of a common practice of the trade. While some drivers have opted for a more efficient and manageable route in which to handle weigh stations (and likely other aspects of the job) there are others who have not yet embraced the ways in which weigh stations can be met in the current state of the industry. Nowadays, it seems that just about every aspect of trucking is moving towards some sort of technological advancement or a digital replacement for how things used to operate. 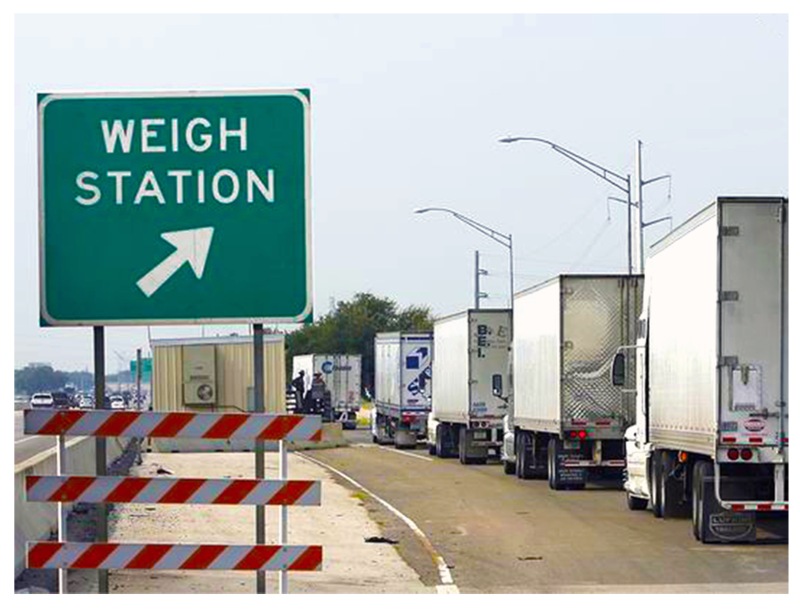 Weigh stations are not immune from this inevitable advancement, and according to some sources, the future of weight enforcement may be coming closer than we imagine. Digital weight enforcement is seen by many as a practical means to accommodate a growing amount of freight and cargo as the industry experiences an unprecedented period of growth. Arkansas has reportedly been an early adopter of advanced weight enforcement, opting for a system that does not require the resources to manage trucks who use bypass stations and those who avoid weigh stations due to a pre-pass. Though the technology and practices are still relatively nascent, air weight tools report that they save drivers and trucking enforcement officials a great deal of time and allow a weigh station visit to be less of a formal process and more of an expedient journey. Whether a driver accepts weigh stations or begrudges them while on the road, weigh stations are an unavoidable and imperative part of life on the road. Weigh stations are not meant to ensnare and trick drivers, they are meant to ensure that weight enforcement in the country is followed while the current state of the infrastructure in the country is improved upon and kept accident-free. When natural disasters occur or when tragedy strikes in certain areas like the recent devastation in Texas, it is imperative to preserve the current state of roads and passageways with proper weight restrictions so that responders (trucks) and those they are serving are all kept safe. In order to find more information on weigh stations in your area, visit your state’s specific Department of Transportation page or consult the FMCSA with more specific inquiries.